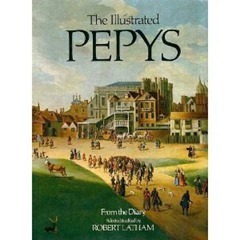 In this post I review “The Illustrated Pepys”, extracts from Samuel Pepys’ diaries edited by Robert Latham and enhanced with illustrations from the period. You can download the full Pepys diaries from Project Gutenberg (here) in the earlier 1893 edition and the www.pepysdiary.com website has loads of additional information, it is working it’s way through the diary and will reach the end in May next year. I feel somewhat ashamed for going for the “illustrated” and edited version which contains approximately one twelfth of the complete diaries, it feels like dumbing down but to be honest I struggle with 17th century English. However, I did enjoy the illustrations. Samuel Pepys was born in 1633, his family appears to have been relatively well-connected, he attended grammar school, St Paul’s School the Magdalene college at Cambridge funded by two exhibitions and a grant from the Mercers Company (his father was a tailor). In 1649 he was present at the execution of Charles I. Prior to the start of the diary in 1660 he had married Elisabeth de St Michel, a 15 year old Hugenot, in 1655. On 26th March 1658 he was “cut for the stone” that’s to say had a lithotomy to remove stones from his bladder, this was a painful and dangerous operation at the time. 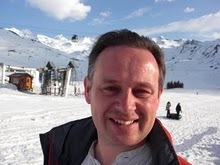 He celebrates the anniversary of this day in each year through the diary – under the circumstances I think I would too! After university he starts work as clerk to Sir George Downing at the Exchequer and he was also a secretary to Sir Edward Montagu, a relative of his father’s who was later to become 1st Earl of Sandwich. The diary begins in 1660 when Pepys is 27 years old, on the eve of the Restoration, in which he is involved as a member of the fleet which travels to Holland to bring back Charles II as part of Montagu’s retenue. On his return he becomes Clerk of the Acts to the Navy Board, this seems to have been a relatively senior, but not top, position. Later in the diary he describes giving evidence to a committee of parliament on the conduct of the navy in the Second Anglo-Dutch War. The diaries are an interesting mishmash of the mundane and high politics. Pepys was living in interesting times, he lived in London during the coronation of Charles II, the plague and the Great Fire – all events covered in his diaries. Pepys has regular sexual encounters with women who are not his wife, he often drops in to an argot of foreign languages (French, Spanish and latin) to describe these encounters. Late in the book his wife catches him fondling their maid, Deb Willet and the repercussions of this last for several months. Interestingly he describes a later, non-sexual meeting with Deb in his argot. The diaries were written in shorthand and were clearly not intended for general readership, he expresses a degree of remorse and guilt over his affairs, so to me it seems this use of language is to separate him from his disreputable acts. Aside from the womanising Pepys entertained himself with music making with his wife and friends, going to plays and trips into the countryside. Servants seemed like more of the family for Pepys than I imagined, he and his wife give two of their servants who marry a substantial wedding gift for their departure, he also talks of working with labourers such as carpenters who come to his house to work. I wrote a diary for a period between 2000 and 2005, looking back at them the similarities with Pepys diaries are striking. The little domestic details, the meetings with friends, the extended descriptions of current events, the hints of the work he is currently engaged in, the brief formulaic entries for those days when you just don’t feel like writing, his joy at new clothes and gadgets (like a carriage). I should hasten to add for the benefit of Mrs Somebeans that no sexual encounters with anyone are described in my diary! The details of his relationship with his wife are touching and domestic, he talks of them laying long and talking, of returning to share a bed with her after she has had a cold. He also describes accidently elbowing her in the face as he wakes with a start and grumbles about her leaving her belongings in a coach, grudgingly admitting at the end of the entry that she had given the items into his care. I come to the diaries having read Alan Cook’s biography of Edmond Halley (reviewed here), a contemporary of Pepys. Cook’s biography of Halley is very dry, you can almost feel the transition between different sets of formal records. The personality of Halley can only be imagined. The life and character come from the diaries of associates such as Samuel Pepys, Robert Hooke and John Evelyn. Looking more widely biographies of Charles and Erasmus Darwin are both given character by their extensive surviving personal letters and diaries. “British diaries : an annotated bibliography of British diaries written between 1442 and 1942” compiled by William Matthews lists the diaries known from the period in which Pepys lived, they are sparse: a handful in each year from people in a range occupations. Pepys diaries are well-known because they are preserved, along with his large library, they cover a very active period of history in which Pepys plays a small role close to the centre of action. They are readable and cover both the professional and personal. He finishes the diary in May 1669, fearing for his eyesight which subsequently improves. Elisabeth, his wife, dies shortly after the end of the diary; over the succeeding years he takes up more senior roles in the navy, becomes and MP and serves briefly as President of the Royal Society. He dies in 1703. You can see my rather incomplete Evernotes on the diaries here, I recommend www.pepysdiary.com for more detailed exploratory with added details and explanations.